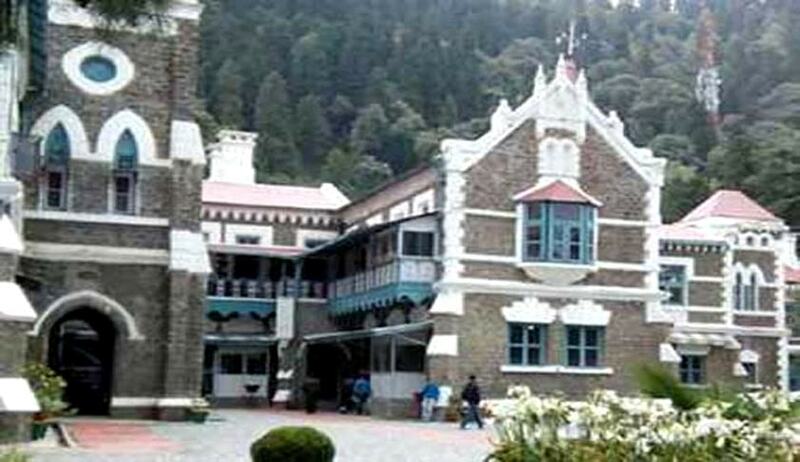 Highlighting the State’s lack of preparedness and functional ‘paralysis’ in the face of the massive tragedy in the form of flash floods that struck Kedarnath in 2013, the Uttarakhand High Court has issued mandatory directives to the State to deal with such exigencies and also to maintain the ecological sanctity of the area. Among other things, the court has directed the State to form five special teams to trace the dead still buried under the rubble. A division bench comprising Justice Rajiv Sharma and Justice Alok Singh held that the issue was of ‘great public importance’ and deliberated on failure of state machinery to deal with the disaster while referring to delayed rescue operations that increased the miseries manifold. The directions came on a petition by Mr. Ajay Gautam, highlighting the miseries of the people trapped in Kedarnath valley in June, 2013, the month when the area received an unprecedented heavy rainfall leading to a monumental loss of life and property. The court directed the state to constitute five special investigation teams headed by an officer not below the rank of S.S.P. and comprising of officers drawn from the National Disaster Relief Force, police force, paramilitary forces and local police to trace the dead bodies, lying scattered/buried in the Kedarnath area. The teams shall prepare the DNA profile and inform the family members of the deceased. The State Government after completing all codal formalities shall perform the last rites as per Hindu, Sikh, Christian and Muslim religion. In order to check un-authorised and haphazard construction in the area, the State Government is directed to prepare the development/master plans for the areas falling enroute to Char Dham, including for Devprayag, Sonprayag, Rishikesh, Badrinath, Rudraprayag, Gopeshwar within six months. The state has been issued stipulations with respect to management of influx of tourists and pilgrims in the area. The court said the state shall prepare a National Code of Tourism and Pilgrims on the analogy of Kailash-Mansarovar Yatra and also take steps to put restrictions on mass tourism in eco-sensitive zones, in order to save the glaciers. The State Government is directed to frame the rules to regulate the mass movement of pilgrims to religious places in the State of Uttarakhand. And also maintain biometrics data of all the tourists/pilgrims by installing biometrics machines. The State Government is also directed to construct sufficient number of inns/sarais to house the pilgrims at a distance of every 10 km enroute Char Dhams and Hemkund Sahib. With respect to implementation of rules under the Municipal Solid Wastes (Management and Handling) Rules, 2000, district magistrates have been made responsible for ensuring adherence in their respective territories. Municipal Councils Devprayag, Sonprayag, Rishikesh, Badrinath, Rudraprayag, Gopeshwar, Rudrapur have to ensure the scientific disposal of the municipal wastes and that no untreated sewage is discharged in the rivers enroute to chardhams as well as Hemkund Saheb. The court also asserted that if the orders are not carried out within 6 months, district magistrates of the concerned districts shall be liable to face the contempt proceedings. The State Government is also directed to install advanced Warning Systems in Char Dham areas, including doppler weather radar, automatic weather station (aws), radiosonde /rawinsonde, within three months. The court also stated that all the roads leading to Char Dhams should be metalled and it shall be the responsibility of the chief engineer to maintain the roads. The State Government is also directed to construct shrines between Govind Ghat and Govind Dham. In view of any such future eventuality, the court has directed the State to construct emergency stores at safer and suitable places enroute to char-dhams and Hemkund Sahib at a distance of 10 km each. The stores shall be equipped with blankets, sheets, ration, gas, water, condensed milk in sufficient quantity. The State Disaster Rescue Force should be deployed in these stores throughout day and night at the time of Yatras. The court has further directed the Public Works Department (PWD) to deploy latest machinery in the area to maintain the roads and to clear the roads immediately in case of any natural calamity during Yatras. Bharat Sanchar Nigam Limited (BSNL) is also directed to prepare contingency plans to restore the telecommunication immediately in the eventuality of natural calamity. For maintaining the ecological sanctity of the area and protect the environment from degradation, the State Government is directed to fix quotas for the visitors/tourists coming to the Valley of Flowers. Entry to the national park, Valley of Flowers, should be made on the basis of online permits with a reasonable fee. The authorities must take an undertaking from the tourists/visitors that they would not cause any harm or damage to the flower or vegetation in Valley of Flowers. It must be ensured that entry of all water bottles shall be registered and the empty ones should be deposited with the authorities at the exit point of the park and shall be destroyed using sufficient no. of machines. There shall be a complete ban of chips, cookies, Maggie and eatables wrapped in plastics in the entire Valley of Flowers. The court has also imposed a penalty of Rs. 10,000/- for causing threat, damage and harm to the flowers and vegetation. The Divisional Forest Officer concerned is permitted to take cognisance of damage caused to the flowers and vegetation in Valley of Flowers and impose penalty till the law is enacted by the State. The amount of penalty shall be used for preservation of environment and ecology of Valley of Flowers, the court ordered. The court also called upon the state to endeavour to protect the environment and safeguard the forest and wildlife as per Article 48-A of the Constitution of India. ‘It is the fundamental duty of all of us to protect and improve the National Forests like wildlife, as is provided under Article 51-A(g) of the Constitution,’ the court held.